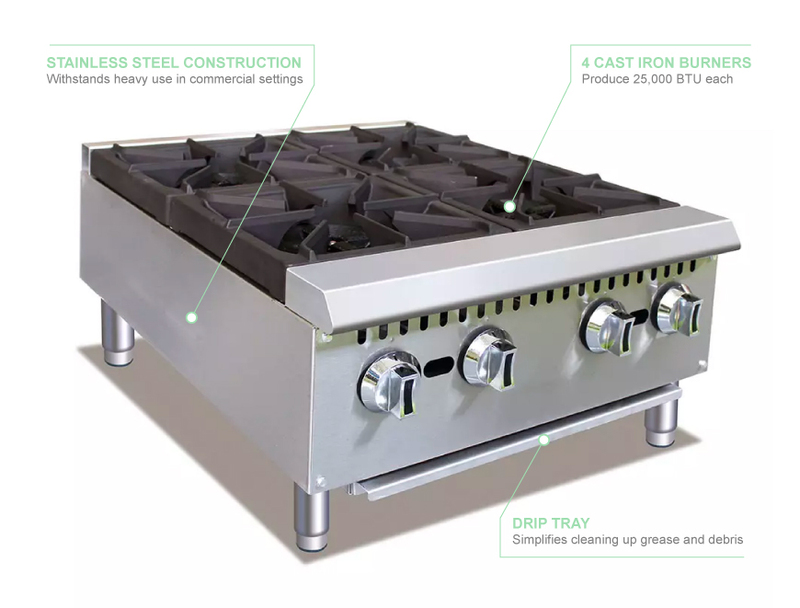 The eQuipped HP424 gas hot plate has four cast-iron burners that produce 25,000 BTU each per hour. Each burner has an individual gas valve and a pilot light so you do not waste gas supply or energy if you do not use every burner at once. This unit is heated by natural gas, but the tips to do a field conversion to LPG are included. 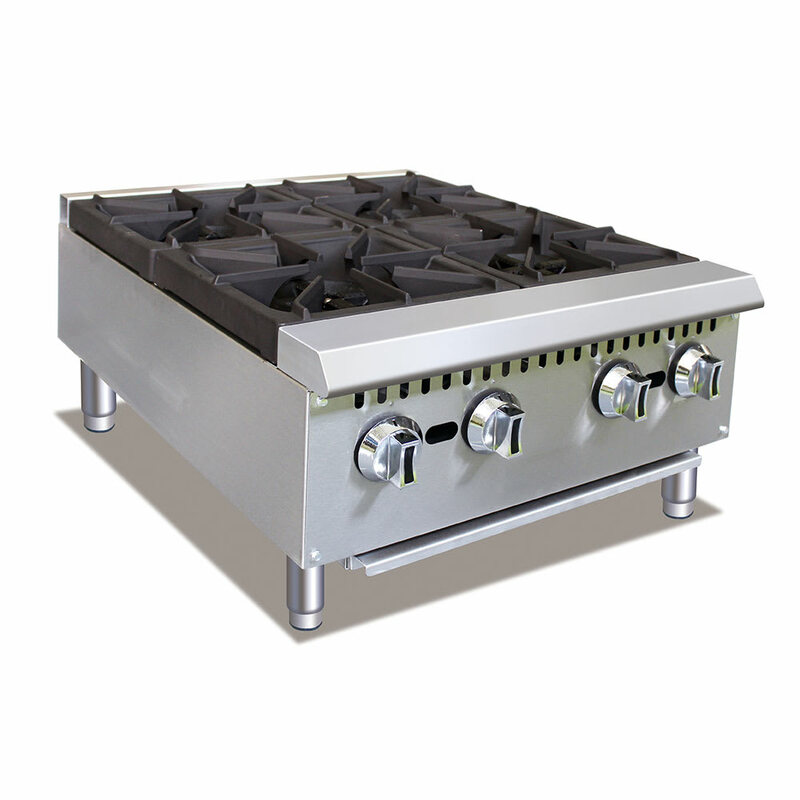 The stainless steel construction makes the hot plate durable and easy to keep clean. The 4 to 5 inch adjustable legs lift the eQuipped HP424 gas hot plate off of the countertop to prevent damage to that surface. Cleanup is a breeze with the stainless steel drip tray that collects grease and debris.